So, you heard the hot destination this year was Riviera Maya – hot as in temperature, but also hot deals and discounts. The Riviera is no doubt one of the most popular spots in Mexico, and for good measure: you’ll find plenty of choice on hotels, from the ultra-budget to the good value for money, miles of sparkling blue waters and sandy beaches, and the opportunity to relax and do nothing in a sunny climate. Not to mention the many direct flights and easy connections, making it easy to get in and get back home without too much hassle. But what if you get tired of the chaise lounger, get sunburnt and want a day off from the pool, or have some wee ones and want to get them some cultural sightseeing while you’re on holiday? Riviera Maya is littered with Mayan ruins, many of them easy to access via the guided tours and excursions that you can book right from your resort. Here are a few of the popular ones you may want to check out during your trip. Oddly enough, Tulum is where some of the oldest resorts were built – and by oldest, I mean that this is where the Mayans came to relax. Or so we think – many facets of Mayan culture are still not clear. 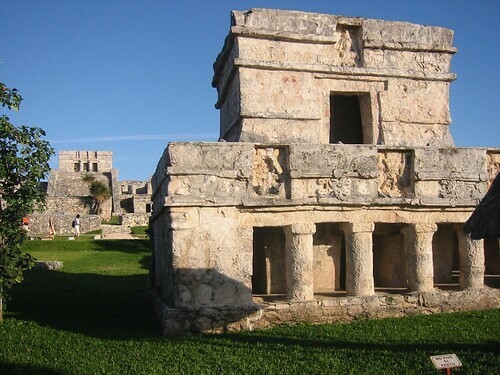 Tulum is one of the busiest and most popular stops for Mayan tours; be sure to opt for an early morning tour, as afternoons can be quite warm and the crush of visitors a bit too much. Tulum is south on the Riviera Maya, and the closest archaeological site to visit ruins, so if you’re short on time, a tour here is probably your best bet. 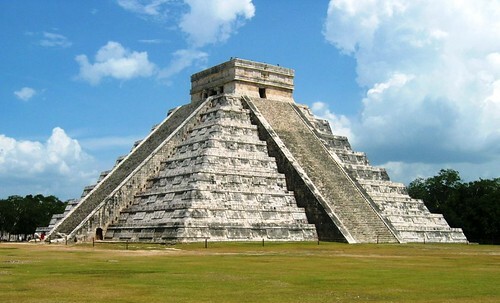 Chichen Itza is no doubt the most famous of all Mayan sites, though many assume that the main temple is Chichen Itza, but this is actually the Pyramid of Kukulcan, whereas Chichen Itza is the archaeological site. It’s almost like stepping back in time, with so many incredible (and enormous) buildings and structures. Many of the buildings are no longer accessible due to continued deterioration, but even just walking around them gives you a clear impression of the immense size of the structures. A day trip to Chichen Itza from Cancun or similar makes for a very long day – you have to leave early and then it can be hot and crowded. Worthwhile, yes, but nonetheless prepare for the big trip. If you don’t want to leave Cancun but do want to see ruins, you can visit the site of El Rey – sometimes also referred to Las Ruinas del Rey. Believe it or not, it’s in the hotel zone and has an admission fee of $3.00USD, but worth it if you can’t stomach or don’t have the time to leave town. You’ll notice the iguanas find it a popular hangout, but if I were an Iguana I’d probably hang out here instead of the immense Hilton across the street. Despite being right here, the site is relatively quiet. The main bus lines through the hotel zone stop here – bus fares are only one dollar. 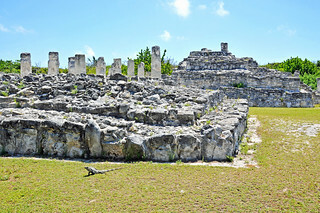 Coba isn’t all that well known, but it’s fairly close to Cancun and a very experiential stop. This once used to be a major city in the Mayan empire, one of the largest cities in fact, and it must have been a wonderful location, with several lakes surrounding the site. There is a major temple here, and it’s tucked away into the weeds and jungle, making it feel a bit undiscovered. They say these are the last ruins you can still climb in the area, though I suspect that will someday soon change.Several of the private guides in Cancun offer a partial day tour here, and if you have several people, the guide can be cheaper than the bus. 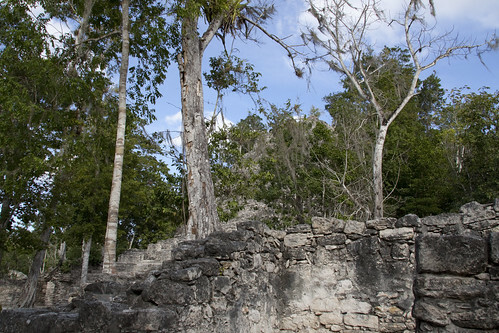 Did you visit some Mayan ruins during your Riviera Maya trip? What was your favourite? Photos by bgautreau, 3neus, kyle simourd, archer10, ahisgett.